George Witte has published three collections of poems, Does She Have a Name? (NYQ Books, 2014), The Apparitioners (2005) and Deniability (2009), the latter two in print with Orchises Press. 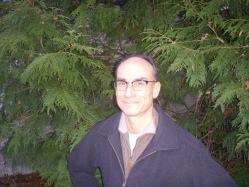 His work has been published in 32 Poems, Antioch Review, The Atlantic, Boulevard, Gettysburg Review, Kenyon Review, Poetry, Southwest Review, Virginia Quarterly Review, Yale Review, and elsewhere. He was awarded Poetry’s Frederick Bock Prize for a group of poems, anthologized in The Best American Poetry 2007, Old Flame, Rabbit Ears: TV Poems, Vocabula Bound 2, and The Doll Collection, and received a fellowship from the New Jersey State Council on the Arts/Department of State. , Does She Have a Name?